Regularly, programmatic outcomes fall short of our hopes and intentions. Our theories of change and/or programs we create do not result in the outcomes we envision. Much work has been done to examine the disconnection between our targets and results. Systems thinking and analysis is one of the disciplines that shines light on this challenge. Think about what we say we want with regards to diversity, equity and inclusion and the disparate outcomes based on social identity group membership that systematically privileges some of us and disadvantages others in almost every aspect of our lives. Systems thinking and analysis is very useful in helping us to more deeply understand those disconnections. It can help us in developing knowledge, tools, strategies and action steps to close the gap between the world we say we want to live in – the outcomes we say we want to create; and the lived realities that often fall far short of those aspirations. 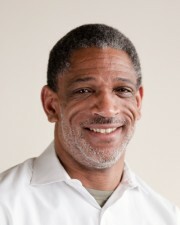 This session of EILN will focus on some of the key insights for achieving desired diversity, equity and inclusion results that Cliff Jones has learned from 25 years as a staff consultant at NAO, having worked with well over a thousand nonprofits and through collaborative work with many other colleagues. This event focuses on Leadership & Culture and Purpose & Strategy. For additional resources in this category, visit: Leadership & Culture and Purpose & Strategy.